On MLK Day, in Birmingham, admission to the Civil Rights museum is free. You might go after the Unity Breakfast (scrambled eggs and over-cooked bacon from a buffet line, biscuits and gravy, grits with cheese and without), during which some speaker or another pays tribute to the great man, by giving a talk on social justice. 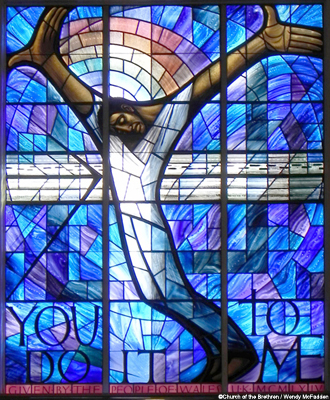 This stained glass window in 16th St. Baptist Church was a gift from the citizens of Wales after the previous window was destroyed in the bombing. Across the street, the start and finish of the parade route is a park that has statues of police dogs, fire hoses and children in jail cells. Today, those children’s children and grandchildren are out of school, but maybe only a few of them know why, other than because of the soundbites of somebody having a dream. We go through these rituals once year, wrestling with the paradox that the sites of the scenes of our greatest shames have become destinations, touted by the tourism departments as the places where history happened. All of that is true, and so is this: We are still suffering, we are still estranged from one another, we are still segregated. But we are trying. We are trying — on MLK Day and every other day — to unshackle ourselves from bigotry and bitter-hearted shame. For people who are not from Birmingham, the history of this place began in May 1963 when Eugene “Bull” Connor gave his firemen the order to spray and ended that September when one quartet murdered another with a bomb set off in a church basement. But time rolls on. The sun still shines. The seal on the front of City Hall has Birmingham’s official motto emblazoned into steel. It says, “The people are the city.” We were then, and are now, too. Birmingham exists because of a seam of iron ore that runs through Red Mountain, the toenail tip of the Appalachian Mountains. That ore created an industry, that industry created an economy, that economy created communities, in which there have been sweet triumphs and sad struggles, probably in equal number. On MLK Day, in Birmingham, we are mining for meaning, the way our forebears mined for the raw materials to make this place. We are still digging, not for profit now but for hope. 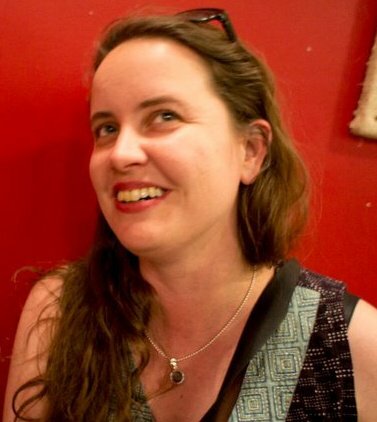 Glenny Brock is editor of WELD for Birmingham, a weekly newspaper and new media company. A native of Birmingham, Ala., she is also a graduate of the MFA in Writing program at Spalding University.